Even before we gave Harley her own tablet, we were looking for video content for her. The reality is that screen time isn’t evil, and honestly, sometimes we all need time to zone out – her in front of a video and me without a little one demanding my complete attention. That said, I still like to encourage her to watch things that expand her mind, teach her something, or are generally worthwhile. I’ve found a bunch of awesome shows for kids, and I thought I’d share them with you. This time, it’s Tayo the Little Bus. What is Tayo the Little Bus? As the name implies, Tayo is a little bus. This South Korean kid’s show follows a fleet of buses, taxis and other vehicles as they work in the city. Because they are little buses, they are still learning the ropes and often behave like kids. They might be afraid of a car service/check up, or get dirty and not want to go through the car wash. They get jealous of each other, support each other, and generally resolve daily conflict. Plus, there’s a super catchy song. Just try to get this one out of your head. If you can believe it, the show is so popular in South Korea that it was used as part of a marketing campaign for public transportation, with actual city buses redesigned to look like Tayo and his friends. It’s hilarious, but just highlights how popular it is. First of all, Harley adores it. It’s on her pad with Netflix, plus it’s fully available for free on YouTube, so she’s able to watch it on our phones as well. It’s one of her favorites, and she’ll sing along with the theme song, because of course she knows it by heart. As usual with this kind of kid’s programming, I really like that they show how you can resolve conflict. They show what it feels like when you lie, and that you might not feel good about it because it’s not the right thing to do. Or they will show Tayo getting lost in the city and asking a police car for help. It’s a nice way of showcasing both emotional and situational problems with solutions. There are some issues and some resolutions that I’m not so fond of. It’s not the end of the world, but stuff like characters getting stuck in the mud. Harley went on about that for ages. Then again, her watching that episode coincided with my mom getting stuck in the mud for real, so I think mud became this very real obsession for Harley and all her pretend play was about saving people from mud. Sometimes, I also feel like the answer to problems is to listen to adults. While I really want Harley to listen (geez, if only she’d listen MORE), I also am encouraging her to find her own answers, to do the right thing, and to be her own person. So that can be a bit outside of what I’d like. It’s really well done, though, so it’s not an issue. Where is Tayo the Little Bus available? 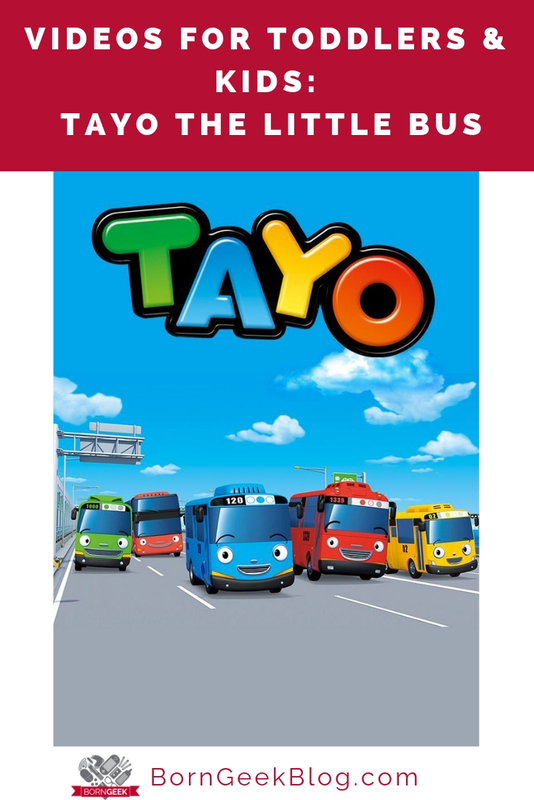 You can watch Tayo the Little Bus on YouTube for free. Season 1-4 are included with Prime on Amazon, and Netflix also has the first couple seasons.